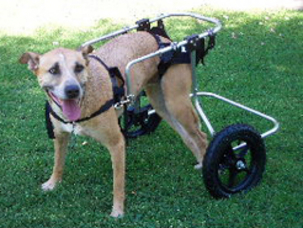 Measuring, fitting and customizing assistive devices for dogs such as carts/wheelchairs, braces and splints. Our goal is to assess each animal and provide it with as high of a quality of life as possible. 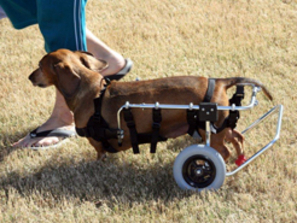 With care and attention to detail, we are able to help your pet actively participate in a normal life. 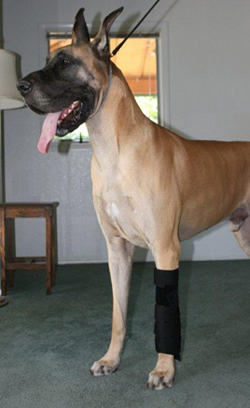 Great Dane with carpal hyper-extension. Gromit in cart. 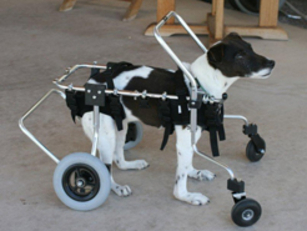 Gromit has a build up of scar tissue in his spine, making walking with his rear a challenge for him. 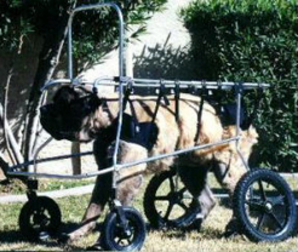 Apollo in quad cart. Apollo could not walk when he came.